← The divine right of kings or democracy? The Canadian International Development Agency is no longer. In its recent budget the Conservative government collapsed CIDA into Foreign Affairs, creating the Department of Foreign Affairs, Trade and Development. While there was plenty of commentary on the Tories’ move, no one — from the mainstream right to the development NGO left — pointed out that Canadian aid has primarily been about maintaining and/or extending the grip the world’s richest one percent holds over the entire globe. Canada began its first significant (non-European) allocation of foreign aid through the Colombo Plan. With Mao’s triumph in China in 1949, the 1950 Colombo Plan’s primary aim was to keep the former British Asian colonies, especially India, within the Western capitalist fold. This type of thinking continues to drive aid policy. 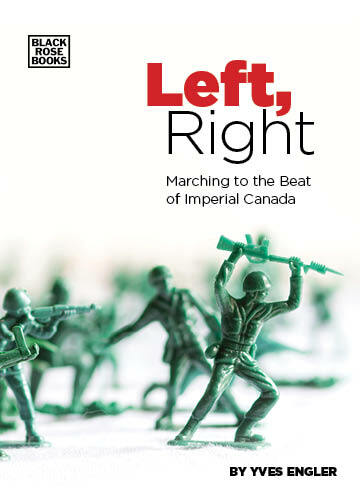 Largely ignored in recent commentary, there are innumerable documented instances of Canadian aid advancing highly politicized geopolitical objectives over the past 25 years. As an early advocate of International Monetary Fund/World Bank structural adjustment programs, since the early 1980s Canada has channeled hundreds of millions in “aid” dollars to supporting privatization and economic liberalization efforts in the Global South. At the start of the 2000s Ottawa plowed millions of dollars into supporting the Western-backed “coloured revolutions” in Eastern Europe and opposition to Jean Bertrand Aristide’s elected government in Haiti. More recently, the Conservatives have ramped up aid spending in Latin America to combat independent-minded, socialist-oriented governments. Barely discussed in the media, the Harper government’s shift of aid from Africa to Latin America was largely designed to stunt Latin America’s recent rejection of neoliberalism and U.S. dependence by supporting the region’s right-wing governments and movements. An entirely unacknowledged, though increasingly obvious, principle of Canadian aid is that where the USA wields its big stick, Canada carries its police baton and offers a carrot. Or to put it more bluntly, where U.S. and Canadian troops kill Ottawa provides aid. During the 1950-53 Korean War the south of that country became a major recipient of Canadian aid and so was Vietnam during the U.S. war there. The leading recipient of Canadian aid in 1999/2000 was the war-ravaged former Yugoslavia and Iraq and Afghanistan were top two recipients in 2003/2004. Since that time Afghanistan and Haiti (where Canadian and U.S. troops helped overthrow the elected government in February 2004) have been the leading recipients. Tens of millions in Canadian “aid” dollars have been spent to reestablish foreign and elite control over Haiti’s security forces. If you tell truth to power by saying Canadian aid is largely designed to maintain Western capitalist dominance of the Global South you’re not likely to have your grant renewed. The funny thing is, with the Conservatives in power, if you’re doing anything remotely useful to ordinary people, you’re not likely to anyway.